The good news here is that you can buy these wooden wine crates online, or you could also do it the long way and order them full of wine to drink while you make one of these. 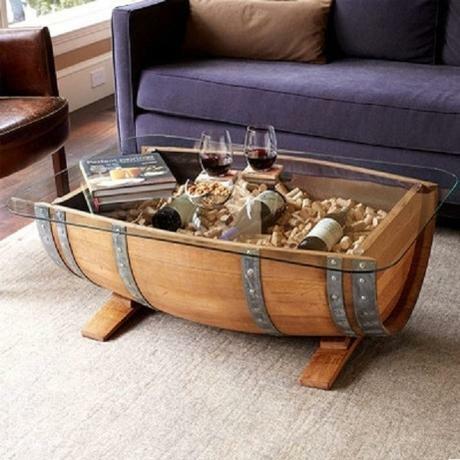 You only need one wooden barrel to make two of these! 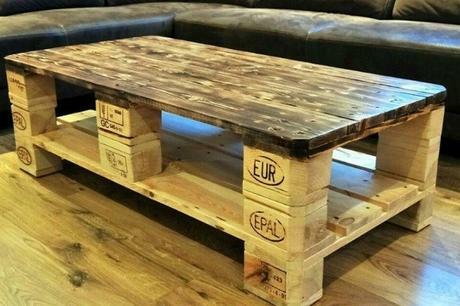 I think anything made of wood makes for a nice coffee table, but the wine bottles and corks inside this one make it that extra bit special. If you have a coffee table base that has a broken top you could turn it into something special with a few bottoms from glass bottles. Just be careful when cutting the bottles. 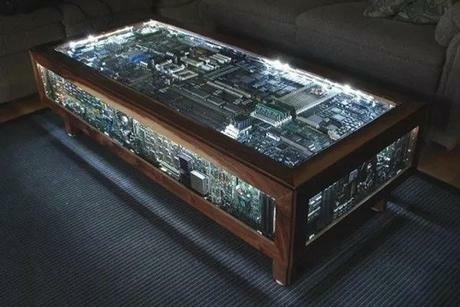 Any Apple fan will love this table and with so many broken ones for sale on places like eBay you could make this for a lot cheaper than you might think. 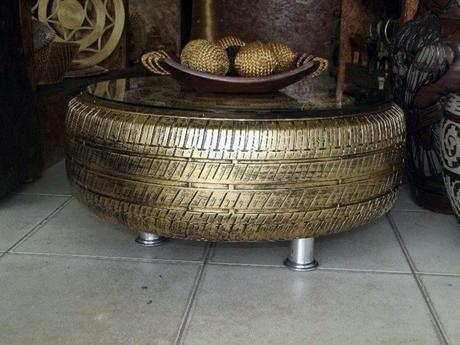 While I’m not fussed on the gold paint look I do think a tire coffee table might work. 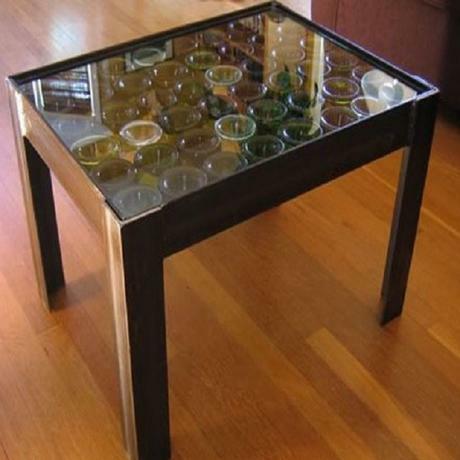 I would make one from a truck tire just to give you that extra room for placing cups and magazines on it. I’m not sure if you can open these up and store things inside the suitcases, but I do look the look of it. 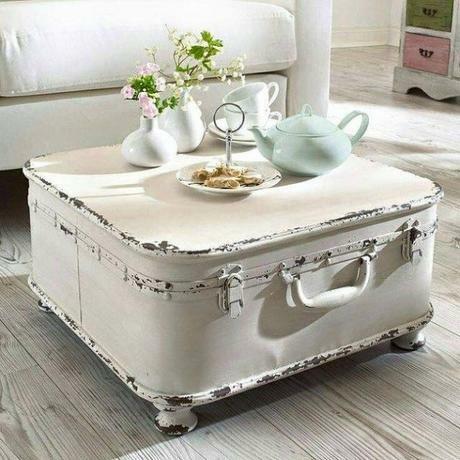 As with most the coffee tables on this list, I am sure it is a lot harder to make than you might think especially as this one is made from 2 suitcases, not just the one. 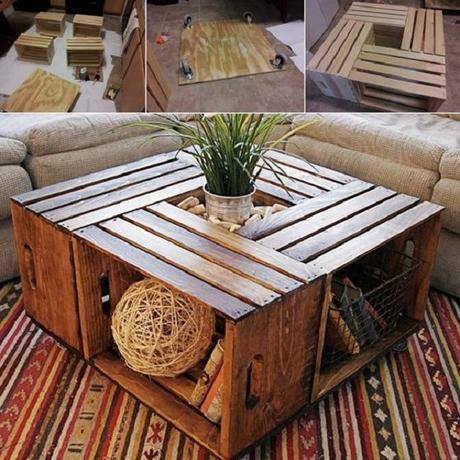 There are lots of designs for coffee tables made from wooden pallets, but it was the simplicity of this one that really makes it stand out. 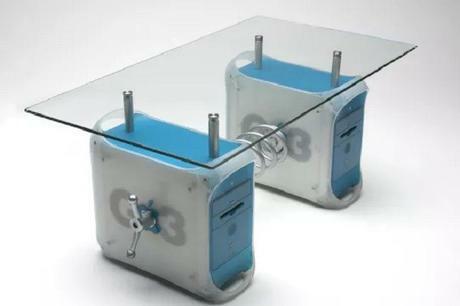 You can also buy these on various sites like Gumtree if you don’t fancy making your own. 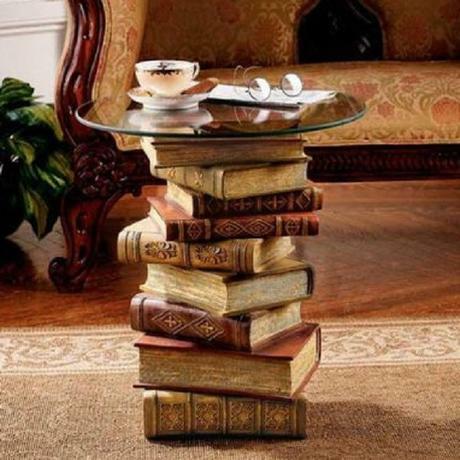 If you have some old books that you no longer need why not stick them all together and make a coffee table! I do prefer the older look of the books, but you could make them with any kind, provided they were large enough. OK, so this is no ordinary car engine. 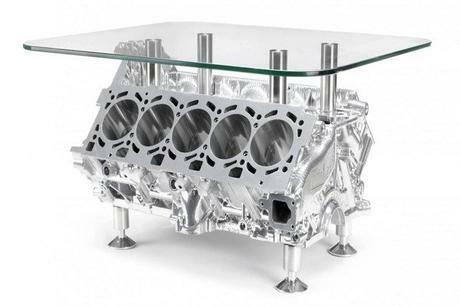 It is an engine from a 5.2-litre Lamborghini V10 and this coffee table probably costs more than my house is worth. But you could always make it with an engine from a much-loved car that gave up the ghost.